The current population of Puerto Rico is 3,659,242 as of Sunday, June 10, 2018, based on the latest United Nations estimates. Puerto Rico population is equivalent to 0.05% of the total worldpopulation. Approximately: 700 – is the Absolute Numbers of the Yearly Estimate of the incidents of murders for 2018: (“296” reported up to mid-June 2018), if the reported figures are reliable. Most likely, it fluctuates somewhere between 20 and 30 per 1,000. Previous recent peak in 2011: = 31. Compare with the graphs below. 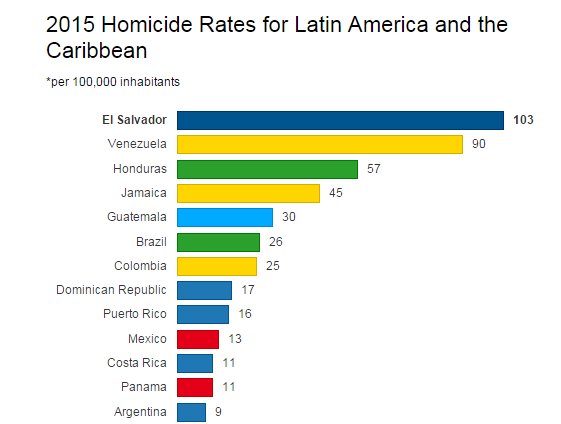 It looks like it (Homocide Rate for Puerto Rico) hovers around 20 (which is more than 5 times higher than the US average but more than 5 times lower than the Worlds’ and the Latin American highest rate of about 103 homicides per 1,000 for El Salvador for 2015). The consistency of data on the graphs is open to questions, they do not form the recognizable pattern yet. We will observe the future data. Addressing the Security Council’s plan to address crime, Public Security Secretary Héctor Pesquera said today that his only plan is “to thank”. “The only plan we have right now is to make the letters, to thank all of you who are reporting that crime has dropped significantly since January 21, that the criminal wave is no longer a wave,” said Pesquera after answering. of a meeting of the Security Council with Governor Ricardo Rosselló, in La Fortaleza. Their expressions that the security plan has been effective and what remains is “giving thanks” contrast with the actions taken by the Bureau of Criminal Investigations (FBI) to assign more agents. 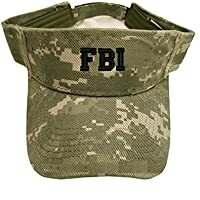 The director of the FBI on the Island, Douglas Leff, revealed exclusively with EL VOCERO that in view of the high incidence of violent crimes on the Island, the head of the United States has agreed to assign new agents and veterans from other districts with experience in gang cases. The Secretary of Public Security limited himself to strictly speaking about the decrease in the statistics of Type 1 crimes, with respect to the same date of the previous year. There are 14,369 cases of Type 1 crimes that occurred between January 1 and June 10 of this year. Also, so far this year, there have been 296 murders, this is three less than the previous year. The number of Type 1 crimes represents a decrease of 3,852 complaints compared to the previous year. However, there has also been a decline in the number of agents who handle these complaints. The appointed interim commissioner, Henry Escalera Rivera, reported in public hearings that a total of 914 officers of the Bureau of Police have left their employment during the last year and a half. The system of official statistics recorded yesterday only four robberies in Puerto Rico. On the other hand, Pesquera indicated that there have been no changes to the protocol for counting deaths in the face of this hurricane season. “That is the law, we have to follow the law, the death certificate is the one that determines the cause and manner and if there is any ulterior reason that was related to the event, then we have to quantify it in that way,” he answered. 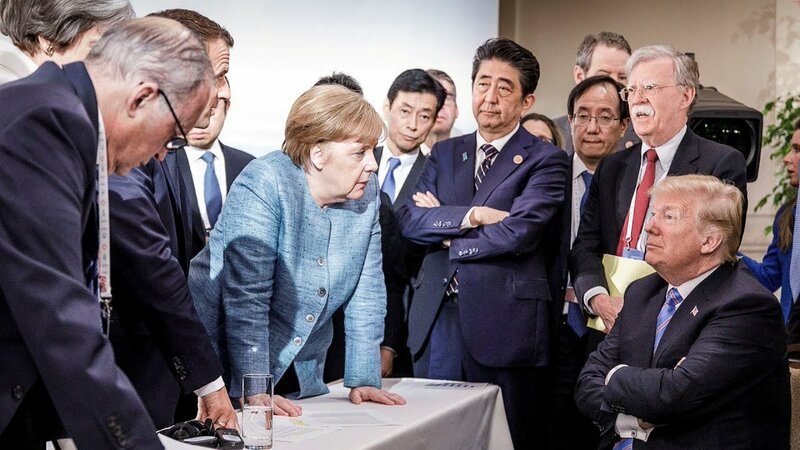 To questions from the press, he opened the door to make modifications to this protocol according to the recommendations finally made by the Milken Institute, of the School of Public Health of George Washington University. The governor has said that the reason for having maintained the official number of deaths as a result of the hurricane in 64, is due to the protocol they were following. A man was shot Jan. 3 by a security guard while trying to rob a bakery. Two double homicides were reported Jan. 8 – two men found shot to death in a car near an upscale resort on the north coast and two other men discovered sprawled on the street near a public housing complex on the west coast. Five killings alone were reported Monday, in addition to three people wounded by gunfire during a shootout that night in the parking lot of a strip mall in Bayamon. This week, police say, the son of a former judge was killed after trying to write down the license plate number of a car whose occupants were firing a gun. Can Farming Save Puerto Rico’s Future? – The Nation. One of Puerto Rico’s deadliest months in recent years has closed, with 78 killings reported in January as the U.S. territory struggles with a surge in violent crime and growing discontent among thousands of police officers. The killings included a 20-year-old woman found kneeling and burned to death inside a car in the upscale city of Guaynabo and a triple homicide reported in the eastern mountain town of San Lorenzo. 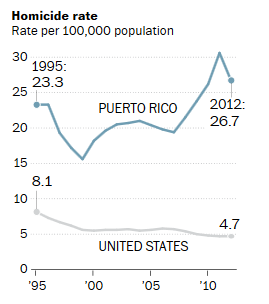 Puerto Rico’s homicide rate is roughly 20 killings per 100,000 residents, compared with 3.7 per 100,000 residents on the U.S. mainland. The majority of people killed last month were young men shot to death. The central mountain town of Caguas reported the highest number of homicides at 18, followed by the capital of San Juan with 14. Police have issued warrants or arrested suspects in only a handful of the cases. On Thursday, authorities asked the public for help in solving the case of the young woman found burned inside the car. Police said they believe she was on her way to pick up a family member the day she was killed. Hector Pesquera, head of Puerto Rico’s newly created Department of Public Safety, has said most of the killings in January were tied to drugs but added that there was “no rhyme or reason” to explain the surge. In mid-January, local and federal officials announced they would implement a “broken windows” policing campaign to help reduce the number of killings. The plan is to crack down on all types of violations, including traffic infractions and illegal tints on car windows, to help get criminals off the street and prevent bigger crimes. The increase in killings came weeks after thousands of police officers began calling in sick daily to protest millions of dollars owed in overtime pay following Hurricanes Irma and Maria. Absences have returned to the normal daily average, Pesquera says, but thousands of police officers are still upset about austerity measures, including a sharp reduction in their monthly pensions and an end to being able to cash in unused sick days. Puerto Rico Rep. Felix Lassalle, president of the commission of public security, is holding public hearings to address those issues. “There’s a big commitment … to address situations that can affect police officers and find solutions,” he said. 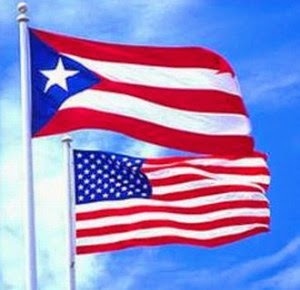 SAN JUAN – U.S. Attorney General Jeff Sessions and U.S. Attorney for the District of Puerto Rico Rosa Emlia Rodríguez Vélez announced that the Justice Department is going to increase resources to combat violent crime, enforce immigration laws and help fight the opioid crisis. The Justice Department is allocating 311 new assistant U.S. attorneys, broken down as follows: 190 violent-crime prosecutors, 86 civil enforcement prosecutors and 35 immigration prosecutors. Many of the civil enforcement prosecutors will support the newly created Prescription Interdiction & Litigation Task Force, which “targets the opioid crisis at every level of the distribution system,” the announcement reads. “These exceptional and talented prosecutors are key leaders in our crime fighting partnership. This addition of new Assistant U.S. Attorney positions represents the largest increase in decades,” Sessions says in the release. In Puerto Rico, five of these assistant attorneys will focus on violent crime, and one on civil enforcement. “The Department of Justice has recognized, through the allocation of these positions, the significance of the violent crime problem on our island. They have also shown great confidence in our Office by placing these valuable department resources in a place where they are both desperately needed and greatly appreciated,” Rodríguez Vélez added in the joint release. mikenova shared this story from crime in puerto rico – Google News. This rhetoric is bad crime-fighting policy, but the demagogue’s art is about wielding … The catastrophe in Puerto Rico has a threefold origin. 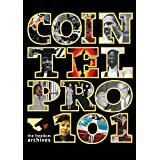 Commentators that have questioned the effectiveness of government anti-crime policy altogether include Gary Gutierrez, a criminal justice profressor at the University of Turabo, and Jorge Rodriguez Beruff, an academic and historian associated with the University of Puerto Rico (UPR). [T]he future for law enforcement on the island is bleak. The department has lost about 4,000 officers in the past five years and, because of the island’s economic crisis, cannot count on fresh recruits anytime soon. Hundreds of U.S. Army soldiers, outside law-enforcement officers and private security guards are helping— temporarily— but robberies, murders and drug dealing have resumed at levels that would seem outrageous in mainland states but are tragically normal here. 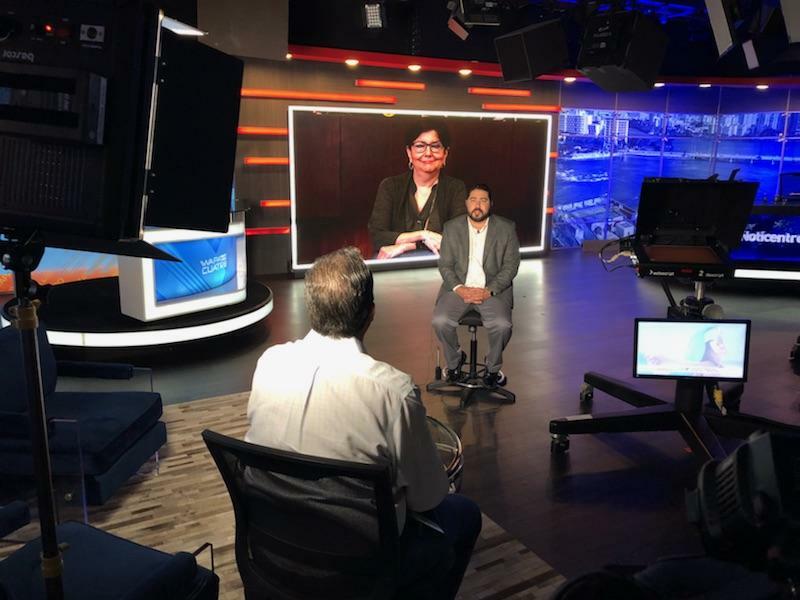 In 2018, Puerto Rican social activists began a renewed push for statehood status in the atmosphere of increased post-hurricane media attention. The effects that closer ties and direct governmental integration between the island and the mainland would bring, particularly in terms of crime and social stability in general, are uncertain. 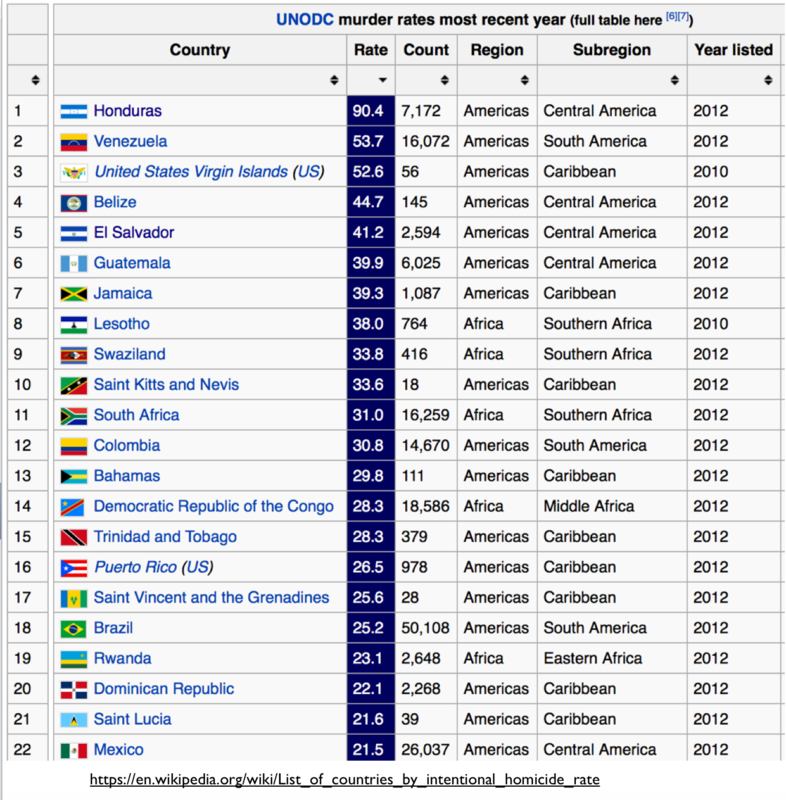 mikenova shared this story from murder statistics puerto rico – Google News. mikenova shared this story from Douglas Leff FBI – Google News. … y veteranos de otros distritos de esa dependencia con experiencia en casos de pandillas, reveló el director del FBI en la Isla, Douglas Leff.